In 2013 I wrote a post about 7 reasons why it's good to live in Taiwan based on my one-year experience in the country. Now I would like to talk about another place which I love, and which I have perhaps loved more than any other: Hong Kong. 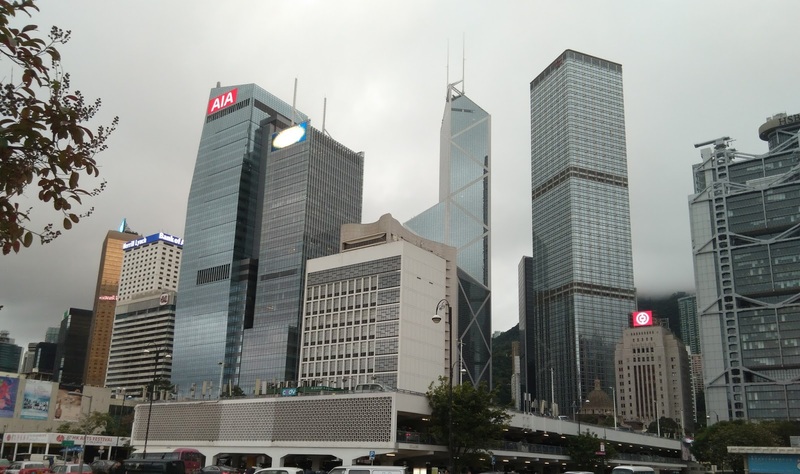 When I was growing up in a small town in Southern Italy, I knew very little about Hong Kong. As a child I remember watching the handover ceremony in 1997, yet at that time I did not really understand much about what was going on. That is my first, vague memory of Hong Kong. Years later, when I was in my early twenties, I watched a short documentary about Hong Kong on Italian television. I was captivated by the energy and modernity of that exotic metropolis. I thought that some day I would like to visit it. However, it was not on my list of priorities. I wanted to go to Japan, mainland China, South Korea, far more than I wished to go to Hong Kong. In late 2011 I decided to go to Taiwan because of a girl I had met in Germany. While I was there, I decided to enrol in a Mandarin school. In order to stay longer than three months I needed a student visa. The Taiwanese government, for inexplicable reasons, doesn't allow you to get your visa in Taiwan itself. You must leave the country and apply for your visa somewhere else. One of the most popular destinations for Taiwan visas is Hong Kong. To me that was a chance to both get my visa and to visit a city I was curious about. To be honest, I wasn't expecting much. All my Taiwanese friends and Taiwan-based foreign friends had told me that Hong Kong wasn't as interesting as Taiwan: "It's too small," "It's too crowded," "There's nothing to do," they'd say. When I told people I'd be staying in Hong Kong for a week, they all predicted I would get bored after two days. They were wrong. Hong Kong was simply amazing. It was love at first sight. Over the course of the following four years, I went back to Hong Kong many times. Gradually my focus shifted away from Taiwan, and I spent most of 2015 and of 2016, and all of 2017, in Hong Kong. I was there also during the fateful months of the Umbrella Movement in late 2014, one of the most exciting periods in the history of Hong Kong and in my own life. Like every great global city, Hong Kong is a place where people from different parts of the world live and work side by side. When I lived in Taiwan I always felt like I was a foreign guest, and I was treated as such constantly. In Hong Kong no one cared where I came from. No one stared at me or behaved towards me in a positively or negatively biased way. You can meet all kinds of people, broadening your horizon, exchanging views and sharing experiences. It is though the whole world was contained in a small piece of land. If you like nice old streets with historic buildings, Hong Kong is not the place for you. But if you love modern skyscrapers, great infrastructure, glistening glass facades, and technology, then you will love Hong Kong. I am a big fan of skyscrapers, and I never get tired of enjoying Hong Kong's magnificent skyline. I don't know how you could ever get bored in Hong Kong. Granted, it's small. But there are so many things to do. You can meet people, go clubbing, visit museums, take trips to nearby Macau or Southern China, go to myriads of Chinese or Western restaurants, enjoy beaches and hiking trails, go shopping. There is simply something for everyone. Hong Kong is one of the safest places you can think of. According to the local police, Hong Kong has one of the lowest crime rates in the world. Statistics show that in 2017 there were zero cases of armed robbery, 24 homicides, and 682 cases of pickpocketing. These are quite impressive numbers for a city that has over 7 million residents and millions of foreign visitors. I never felt unsafe in Hong Kong, even when I walked around in the middle of the night. One sees girls walking around at night, expensive cars parked by the pavement, people carrying open bags etc. No one worries too much about crime, because there is no reason to. Hong Kong is extremely convenient. Public transport is excellent. The metro system (MTR) is cheap, fast and efficient. Trains come every 5 minutes, during rush hours even every 3 to 2 minutes. Buses are quite fast (though not as reliable as the MTR due to traffic). Bus fares range from 3.4 Hong Kong dollars (about 35 euro cents) to 9.4 Hong Kong dollars (about 1 euro). The island tram is ridiculously cheap - it costs just 2.3 Hong Kong dollars (about 25 euro cents). Moreover, there are night buses that take you everywhere. Hong Kong's public transport is by far the best I have ever seen. Hong Kong is a wealthy city, but, like many other wealthy cities, there are a number of problems such as social inequality and poverty. Nevertheless, Hong Kong has a low unemployment rate (2.9%). The median monthly wage is over 16,000 Hong Kong dollars (about 1,700 euros). Thanks to the government's light touch economic approach, personal and corporate taxes are low (the average is 15%, and there is no capital gains tax, no dividend tax, no inheritance tax and no VAT). Bureaucracy is simple and efficient, so that starting a business is a straightforward and relatively easy process. And the government has many schemes and grants to lure foreign entrepreneurs. Hong Kong is one of the few places where East and West really meet and complement each other. Shielded for a long time from the political ideology of the Qing Empire, the Guomindang and the Communist Party, Hong Kong society developed spontaneously and freely. While I lived there, I felt at home, as though I were in Europe. Though Hongkongers are mostly ethnic Chinese with Chinese cultural roots, they are open to foreign cultures and ways of life.